Oranges contain a variety of phytonutrients, particularly beta-cryptoxanthin. In fact, the fruit contains more than 170 phytonutrients and over 60 flavonoids. It has a high polyphenol content that encourages vascular protection. Furthermore, orange relieves nervous tension and aids in skin care. 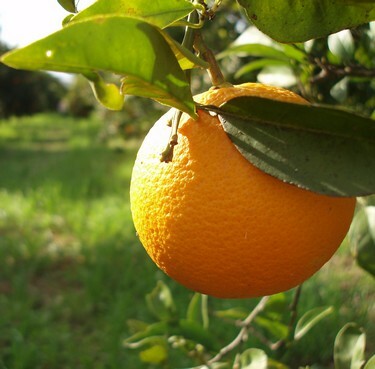 There are several varieties of this fruit like bitter orange, mandarian orange, satsuma, tangerine, clementine (seedless mandarin), and so on. Moreover, sweet orange is broken into four groups, that is, Common oranges (including Valencia, Hamlin, Mosambi, Jincheng, Shamouti, etc. ), Blood oranges, Navel oranges, and acidless oranges. It is believed that this fruit originated in Southeast Asia. It belongs to the Rutaceae family. Orange has anti-inflammatory, antispasmodic, antiemetic, anti-viral, stomachic, carminative, emmenagogue, anti-depressant, and sedative properties. Being acidic in nature, it works as a good detoxifying fruit. In addition, it assists in proper functioning of the immune system and the metabolism. Orange has a flavonoid polyphenol called Hesperidin (present in the inner white pulp of the fruit) which helps maintain capillary and collagen health. Plus, it reduces the risk of developing cardiovascular disease. Regular intake of orange juice lowers blood cholesterol and diastolic blood pressure. Moreover, orange assists in promoting sleep and reducing anxiety. As this fruit is rich in vitamin C, it has health benefits that prevent lung cancer. Thus, it is especially a wonderful fruit for smokers. 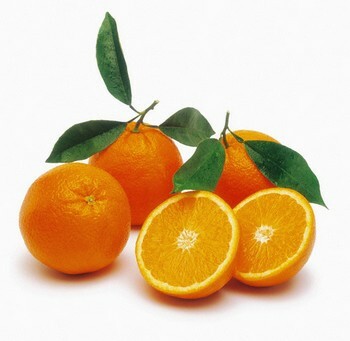 Orange reduces the risk of colon and stomach cancer as well, due to its antioxidant qualities. Furthermore, this citrus fruit is great for those who want to lose weight as it reduces fat deposits. 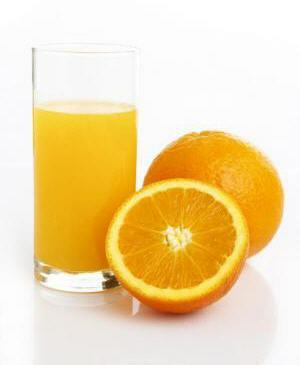 You can have orange juice after breakfast to avoid overeating. In addition, drink orange juice before meals so that your stomach feels fuller. It aids in digestion, too. Plus, you can replace soft drinks with orange juice and eat this fruit as a healthy snack. Make sure you do include orange fruit in your diet because unlike its juice, the fruit contains dietary fiber, pectin. Pectin is useful for reducing excess body weight. Besides, regularly drinking orange juice prevents and cures kidney stones as it increases citrate levels in the urine and reduces the crystallization of uric acid and calcium oxalate. Consumption of orange juice helps avoid mouth ulcers that are caused by lack of vitamin C. Rubbing a cotton ball soaked in orange juice is effective in clearing freckles and dark spots on skin. Inhaling orange oil is beneficial for relieving nervous disorders. Moreover, application of this essential oil on wounds has an antiseptic effect and inhibits microbial growth. In terms of nutrition, apart from vitamin C, oranges are packed with beta carotene, folic acid, calcium, magnesium, and potassium. • Regularly drinking two glasses of fresh orange juice in a day decreases blood pressure and lowers the risk of cardiovascular disease and stroke. Follow this therapy for at least a month. • Soaking in warm bath water scented with orange essential oil promotes sleep and heals insomnia. This oil blends well with cinnamon, clove and sandalwood oils, too. Moreover, you can take orange leaf tea sweetened with honey. Another simple home remedy is to have orange juice mixed with warm water and honey. • When dealing with asthma, add a pinch of salt and a tablespoon of honey in orange juice and consume this simple home medicine. • Regular intake of a glass of fresh orange juice benefits in the natural treatment of Rheumatoid Arthritis because the juice contains beta-cryptoxanthin and zeaxanthin. In addition, you can massage a combination of orange and ginger essential oils on the affected joints to reduce the pain and inflammation. Another popular natural cure for arthritis involves consuming the juice of a freshly squeezed orange mixed with a tablespoon of cod liver oil. • Drinking orange flower water sweetened with sugar reduces nervousness and anxiety. Plus, you can have orange juice regularly in the morning. • Pregnant women can drink orange juice mixed with a few drops of orange flower water and some honey in the night to induce sleep and relaxation. • Boil the peels of two oranges in two cups of water until the quantity reduces to half. Strain and drink this decoction when suffering from malaria. Watch this video giving more information about making use of orange peels. • Eating an orange fruit can help stop hiccups. Alternatively, you can have two tablespoons of fresh orange juice. Follow this therapy during night before going to bed. • Simply rubbing the inside of an orange peel on skin cures acne. Plus, you can add orange essential oil in a cream or lotion and apply on a regular basis to get younger looking skin. • As orange it rich in antioxidants, it benefits in maintaining healthy skin and reducing the signs of aging caused by free radical damage. Thus, you can use a facial scrub prepared by mixing one teaspoon of orange juice, two tablespoons of sugar granules, half a teaspoon of coffee (finely ground), and a pinch of salt. • Prepare a paste by grinding dried orange peels and adding the resultant powder in coconut milk. Apply this mixture on your face for 10-15 minutes and then wash it off to lighten skin color. In case coconut milk is not available then use raw milk or plain yogurt. • Applying a decoction prepared from dried orange leaves on skin heals sores and ulcers. • Taking a combination of one tablespoon each of orange juice and castor oil is useful in relieving constipation. Follow this natural treatment in the night. • Eating an orange in the morning reduces intestinal gas and avoids flatulence and dyspepsia. • Orange juice assists in treating hangover. In fact, it is believed that drinking about 8-10 ounces orange juice after indulging in alcohol can help avoid hangover the next day. Manicurists use orange sticks prepared from orange wood for pushing back cuticles. Moreover, orange peel oil is added in various soaps and perfumes for fragrance. Besides, it repels fleas and houseflies. There are no serious side effects of this fruit. However, it is recommended not to ingest orange peels in excess as it may cause Ischemic Colitis. Although orange peel extracts help lower blood cholesterol levels and regulate the gastrointestinal tract, individuals suffering from hyperthyroidism should avoid taking these extracts because they tend to worsen the thyroid condition.